There are a lot of mysteries surrounding dentistry and while one purpose of this blog is to shed some light on a few of those areas (not all of course, revealing some secrets could get me killed). 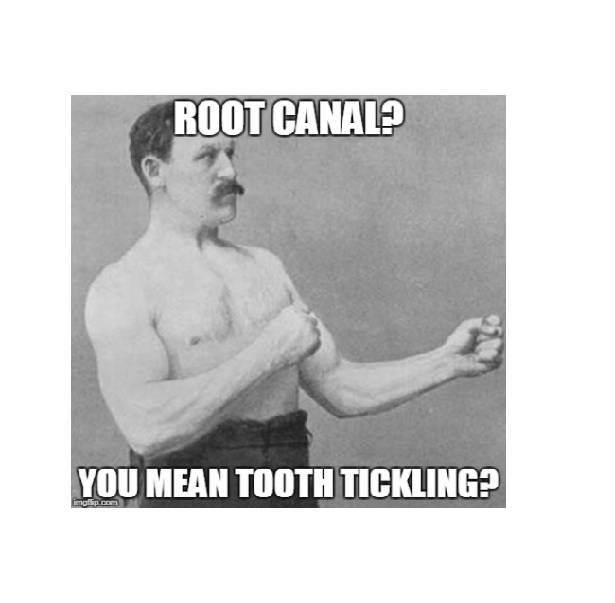 The most confusing subject for many patients is the dreaded root canal. Let’s quickly go over what a root canal is, what causes it, why the dentist wants to avoid it as much as you do, and perhaps prevent this response to me when I do inform a patient they do need a root canal. As I began thinking about the best way to explain how root canals work and why sometimes the dentist knows you need a root canal at the very time he fixes the tooth. But sometimes you need a root canal many months or perhaps even years later. The best analogy is………a baby sleeping on your shoulder. Don’t call up immediately to have your records transferred, just hear me out. A sleeping baby on your shoulder is doing just fine, but that baby cannot sleep on your shoulder for the rest of its life. Eventually, you have to put the baby down in the crib. 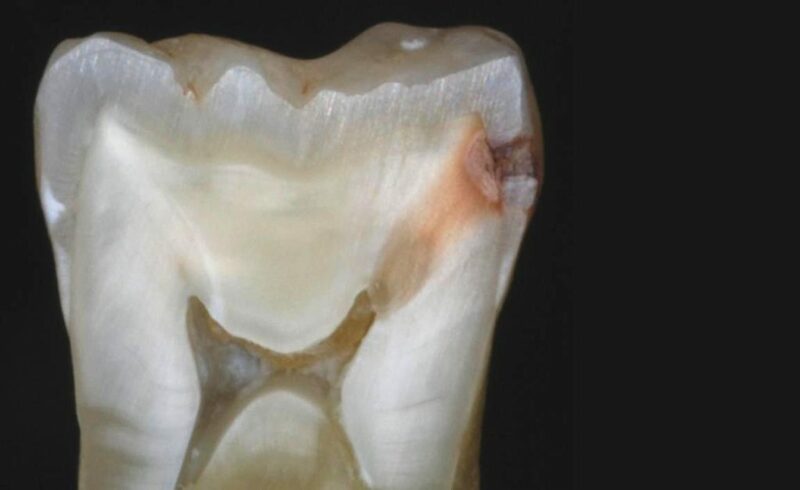 Similarly, you have a large cavity and it isn’t necessarily causing any problems but you can’t let that cavity just sit there or you will have much bigger problems in the future. You know that baby sleeping on your shoulder needs to learn to sleep in a crib and so although everything is fine right now with that baby, you do what is best for everyone involved. You place that baby in its crib and hope and pray to all those that are mighty, that the baby remains asleep and doesn’t wake up and start to cry. Similarly, you know that cavity needs to be filled so you go in and have the cavity filled, knowing that because it is a large cavity, there is a chance it will need a root canal. Anyone who has ever been there knows the greatest chance of that baby waking up and starting to cry is immediately when you set it down in the crib. Like a baby, the most likely chance you will find out you need a root canal is the day you have the cavity filled because, during removal of the cavity, the dentist could determine the cavity has gone into the nerve. Putting that baby down and having that cavity filled, not the best thing to do in either case, but better than having a baby never being able to sleep alone and also better than letting that cavity grow and grow until it begins to hurt because the nerve of the tooth has become infected. Again, as anyone who has put the baby down in that crib knows, if you are able to put that baby down and it STAYS asleep, each passing minute, nay, each passing second, the better and better the chances are that baby is going to KEEP SLEEPING. Similarly, if you are able to get that cavity done and the decay doesn’t go into the nerve, like that sleeping baby, the longer the tooth continues to not cause any discomfort, the better your chances are you will not need a root canal. How did the nerve become infected? Well pretty much the same way anything else gets infected. If you get a scrape on your arm and you don’t want it to get infected, you clean out the wound which essentially removes any bacteria from getting into your body by way of the broken area in your skin. An infection in a tooth works the same way. Bacteria finds a way to get into your body, but instead of through your skin it has progressed through your tooth and into the blood supply right next to the nerve of that tooth. When you have a cavity filled, it is simply bacteria in the tooth the dentist is going to removes before putting in the filling. Until the bacteria reaches the nerve it has been contained within the tooth itself. Therefore, only a part of the tooth must be removed and be repaired with a filling. If the bacteria extends so far as to reach the blood supply, the bacteria is no longer contained and a root canal is then needed. Decay (Caries) extending through the tooth and into the nerve. A root canal is essentially the removal of the nerve of the tooth which is replaced with a rubber material because the nerve had become infected. The material, gutta percha, fills the space where the nerve used to be and is also biocompatible. Fun fact: Gutta percha used to be the material used in golf balls. Actually golf balls used to be smooth but golfers noticed that after using gutta percha balls they developed dents and subsequently traveled further leading to the dimples we see on golf balls today. Many times I will hear patients say, “Dr. So-and-So caused me to need to get a root canal.” Well, I don’t personally know Dr. So-and-So but the only thing he is guilty of is having a stupid name, he is not guilty of causing you to need a root canal. Remember when I said the bacteria is contained until it reaches the blood supply of the tooth? Sometimes even after the cavity is removed a root canal is needed. In that instance the nerve cannot recover from the trauma of having the cavity filled and subsequently dies leading to an infection and a root canal. The two main factors playing the greatest role in causing an unexposed nerve to die is removal of tooth structure extremely close to the nerve and simply overall tooth structure removal in general. 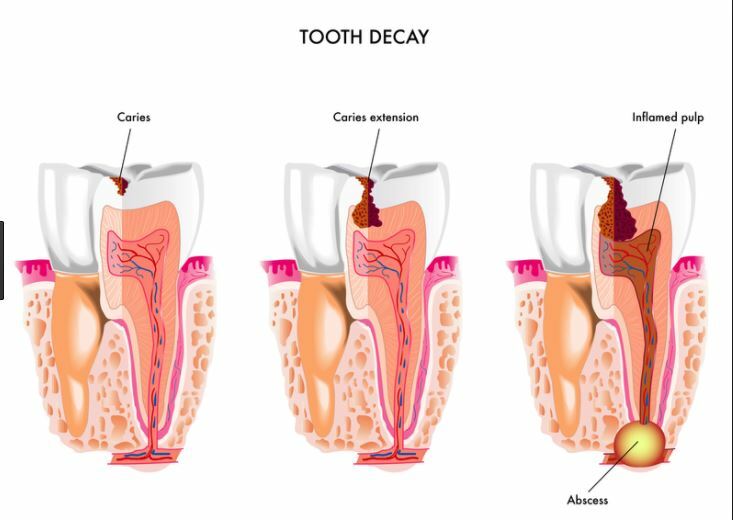 The longer after the cavity is filled without any symptoms in the tooth the better the likelihood of the tooth having recovered without needing a root canal. We can all agree it is hard to say which is more painful, a baby crying all night because it never learned to sleep by itself or a tooth hurting all night because you never had that cavity done. Clever and informative, as always.